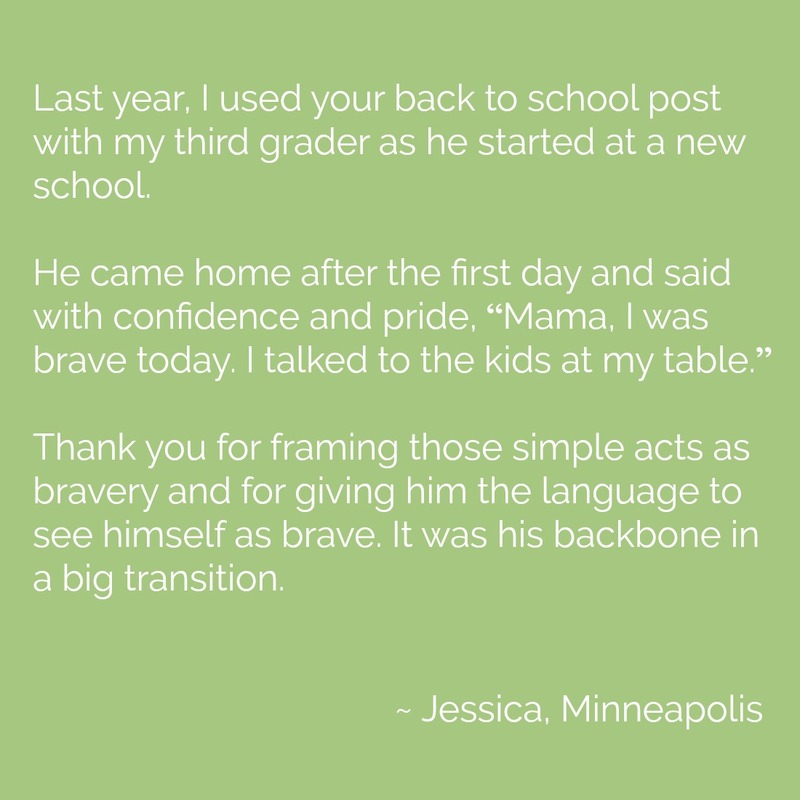 Last year, I used your back to school post with my third grader as he started at a new school. Thank you for framing those simple acts as bravery and for giving him the language to see himself as brave. It was his backbone in a big transition.